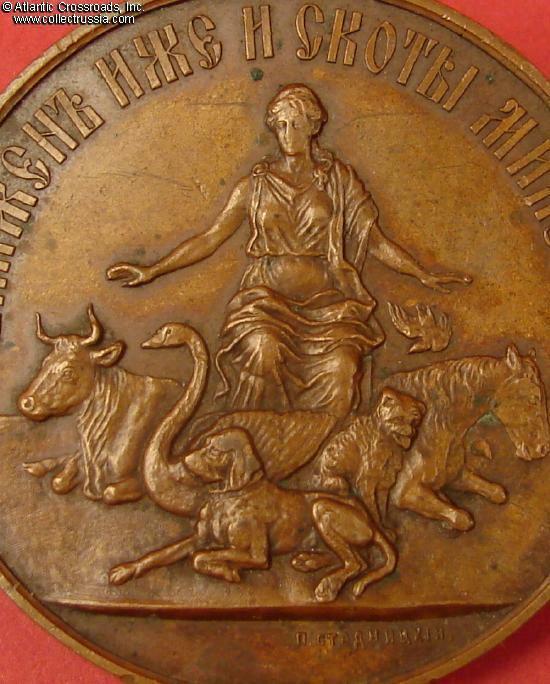 Russian Society for the Protection of Animals Table Medal in Bronze 1865. The Russian Society was founded one year before the American Society for the Protection of Animals in the USA. 47.4 mm wide; weighs 52.8 grams. Engraved by P. Stadnitsky. 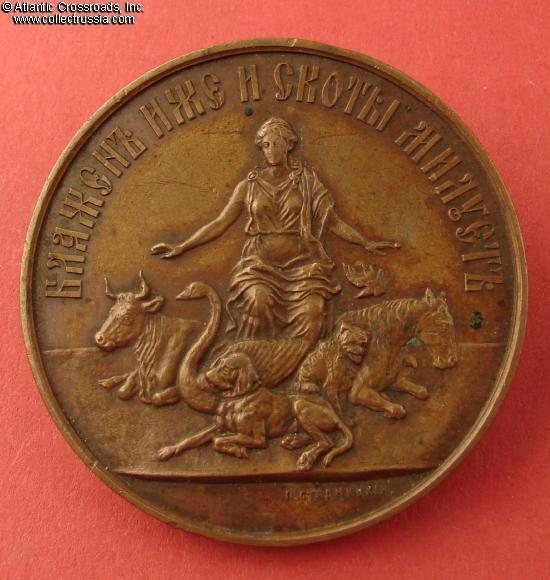 Obverse shows seated woman surrounded by animals and birds (Ox, Swan, Dog, Cat, Horse, Songbird).Probably the only Russian medal to show a house cat somewhere in the design! 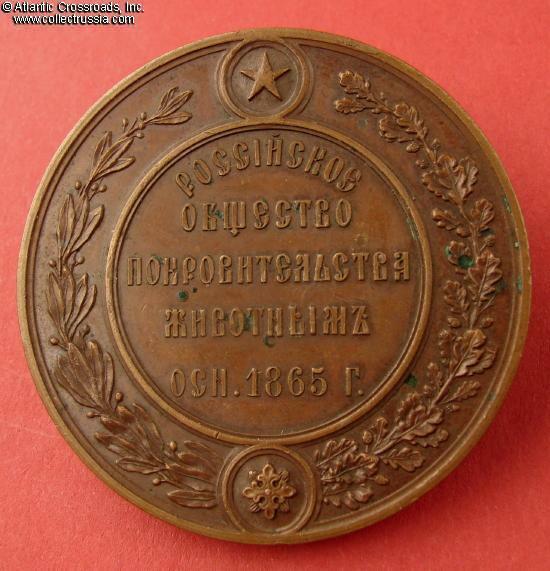 Reverse has a five line inscription in a wreath: "Russian Society for Protection of Animals Instituted 1865". Good condition. 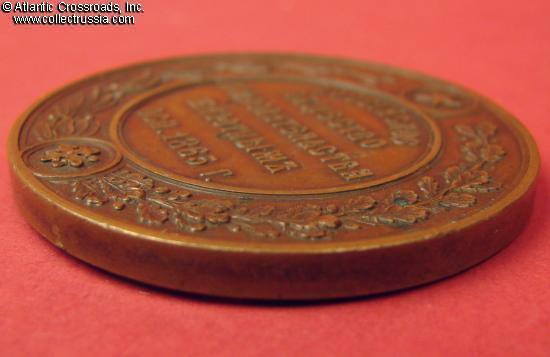 General toning to a chocolate color caused by age, only one edge knock of any consequence at seven o'clock on the obverse, and under magnification the face of the female figure can be seen to have flattened somewhat.